New Zealand Wool Dryer Balls - FREE SHIPPING ON ORDERS $35+! 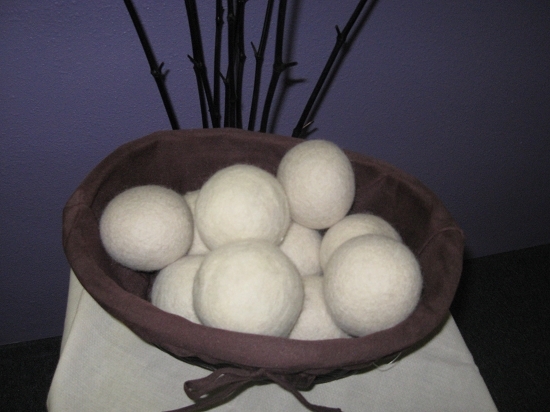 NEW ZEALAND WOOL DRYER BALLS ~ FREE SHIPPING OVER $35! Reduce Static ~ Reduce Drying Time ~ Save Money...all naturally!!! Our Wool Dryer Balls are hand felted and made with the highest quality 100% New Zealand wool available! * Using these will decrease, but not necessarily eliminate, your static cling. Trying not to overdry also really helps reduce static. * Fluff up your clothes without using a dryer sheet. Simply place dryer balls into your dryer and let them to all the work. Using a dryer ball will increase air flow by creating pockets inside your clothes so the dryer can work more effectively. Wool dryer balls also will help absorb some of the moisture thereby, decreasing your dry time. We got these for our diapers, but then realized they're perfect for drying our sheets and permanent press stuff, which always got clumped up somewhere and stayed wet even after being in the dryer for a full cycle. I really think these save energy in the long run. I initially bought two of these and quickly realized I needed more, so I purchased two more. Four seems to be a good number to dry my clothes in one setting. I occasionally spray them with a mixture of lavender essential oil and water to give my clothes some scent. These things really do help reduce time in the dryer. Highly recommended! I started with 3 dryer balls a little while ago and noticed that I was still having to put my dryer on another cycle for "damp dry". So I added 3 more, for a total of 6. They really do work. I haven't had to put my dryer on any extended dry times since! I received my product very quickly. I bought 6 and they work great. Having them in 6 different colors is fun. I plan to put scented essential oil in them and can designate a scent to each color for different loads. They have helped with static cling and drying time. I thought I would try these when my inserts were starting to get very stiff. They really do work! I started with 4 (am thinking we would like 2 more!) and they have made such a difference! We keep them in the dryer and use with all our laundry now. Work really well, especially with sheets! I recently started using cloth diapers and discovered the dryer balls while researching the diapers. I purchased six of them and leave them in the dryer all the time. Where I have seen the biggest impact on the drying time has been with sheets. Previously my sheets would twist all up and I'd have to untwist them and send them around about 3 to 4 times. With the dryer balls I might have to untwist them and send them around a second time, but that is it! We used to use the plastic dryer balls, but my husband complained that our clothes never smelled nice. I got these in the oatmeal and honey scent hoping that would help. Boy did it! Clothes smell great AND they don't take as long to dry. Just hoping the scent lasts! We're really happy with them so far. Highly recommended. I had been using the plastic dryer balls, but wasn't thrilled with them, so I tried 4 of these, scented. It seems like they cut down on drying time, and my laundry is softer, fluffier and has a very light fragrance to it. 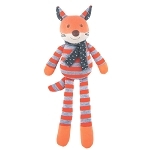 They don't seem to get stuck in clothing as often as the plastic ones did (although I still have to search for them occasionally). I still have static, but I didn't really expect them to eliminate static. I recommend them to all my friends! I've been using 2 of these for a bit now. I never paid much attention to how long the diapers took to dry, but I think the BumGenius Elementals (AIO's) are drying a bit quicker, and they aren't as stiff as before either. I think the best part is fishing around for the dryer balls at the end of each load :) I use these in all my loads, including clothing, instead of dryer sheets. Next time I think I'll get them scented.